Valentines Day is not far off now, who will you be saying "I Love You" to this year? Your partner, husband or wife? Maybe your Mum or Dad? Who ever you're planning on buying for this year, why not say your "I Love You" with a pretty bouquet of balloons from My 1st Years.Com? 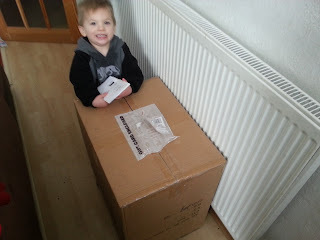 We were lucky enough to be sent our very own I Love Daddy Balloon Bouquet (for the purpose of this review) which arrived in a huge box yesterday, It was all very exciting. 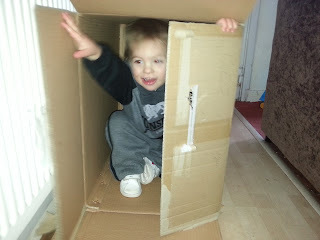 As you can see, my son Ryan had a fantastic time opening the big box. We didn't think Daddy would mind too much. 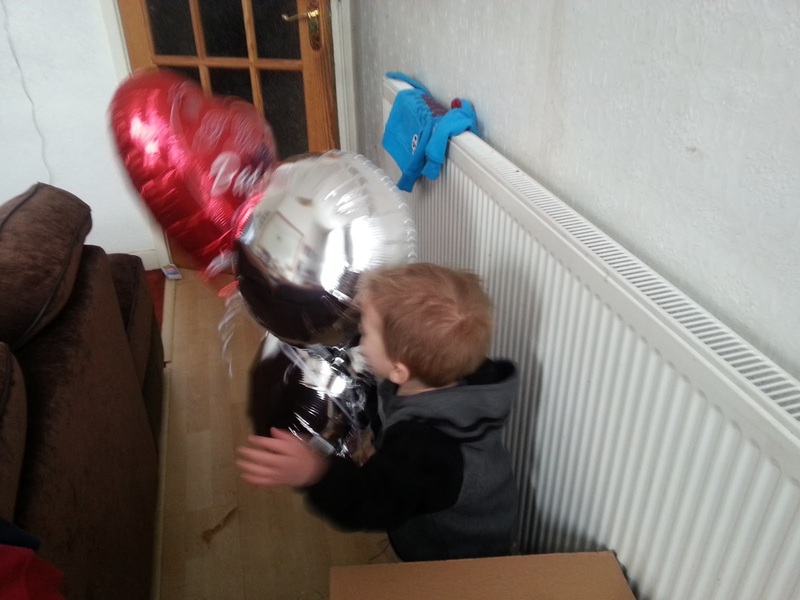 It was lovely to see the balloons come floating up once we'd opened it. The balloons were a good size and very bright. They were good quality and very shiny. They were presented very nicely tied with a pretty white ribbon and a bracelet style weight at the end. Daddy was delighted when he saw the, but I'm not sure Ryan is very happy about giving them up. Daddy said he would share so Ryan is happy again, he loves balloons. 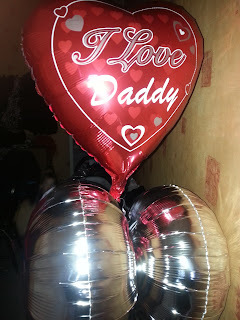 Mummy Of 3 Diaries loved the I Love Daddy Balloon Bouquet. It's truly delightful. 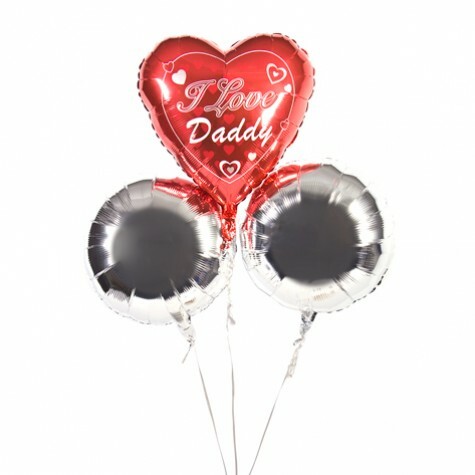 If you're partner loves balloons then this gift would be the perfect choice for them this Valentines Day. Ryan loves balloons but there is one thing that he loves more - Big Boxes!